What Files Can Kindle Devices Read And How To Use It? When you hear that Kindle is the best eBook reader out there, you know it for sure. This is because of the excellent features that Kindle devices bring to the fore. When you compare the Kindle devices to its competitor devices, like Nook or Kobo, the difference is there. The major of course is the cost. You can get a Kindle easily for a price that is half of what others are. Hence, many readers across the world, prefer Kindle devices to others. Although the cost is almost half, the features are equal if not more. Kindle offers many features like Annotations, Highlighting, Bookmarking, and Sharing, etc., which makes reading books fun. You can also try the different layouts and fonts within Kindle which helps you on many occasions. The major benefit of using a Kindle device is the Kindle store. As Kindle store is a native bookstore for Amazon, the titles within it are almost limitless. You can find almost any book you want on Kindle store. All you have to do is click on buy, after signing in with your Amazon account. Once you have that, Amazon asks you if you want to transfer the book to any particular device. Now, here you can use any device which you are using the same Amazon account. Within moments, you will see that Kindle eBook appears on your device or app. Here, you can start reading the book happily. This works based on the system called Whisper Sync. 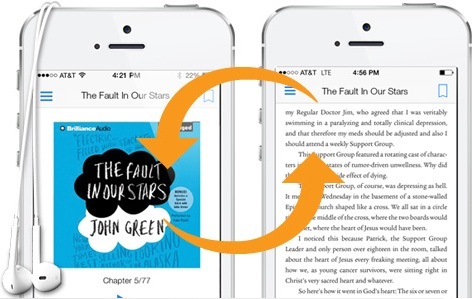 This allows you not only to buy books but also sync your reading habits across your devices. It also gives you suggestions basing on your next ideas and genres. You never lose out on anything important and this you can pick up on any device that you are registered with. Thus, even when you leave your book, app or device, you can log into another and sync your book. Also, you never lose out on your last pages, books, and settings. Are you someone who always wants to try different books on various topics and genres? Then, Kindle store is the best bet for you. You can browse through Kindle store to find books on any subject, genre, author or category. However, if you do not want to spend high on buying books, and perhaps not reading it, you can try them too. Amazon gives you an option to rent books through Amazon Lending Library. You will have to pay an annual fee for renting out a book for a few weeks or days. This helps you in reading the book and again buying it if you like it. Additionally, Amazon gives you once every few months, great deals on book titles. If you are not looking for anything particular, then you can always browse the free category of eBooks available on Kindle store. You can buy them for free and get them on your device as well for reading offline. Thus, Kindle gives you access to millions of books in addition to great looking devices. 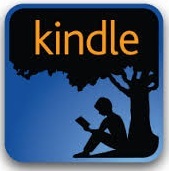 Since you have Kindle applications on your smart devices, you can install their updates easily. However, when it comes to Kindle devices, Amazon gives you regular updates, giving you new and great features. This way you can support and read almost any type of Mobi book. You can then open books with latest features in it, like 3D text types and media, Audio and video plugins, and support for Audible audiobooks as well. Also, Amazon over the period of Christmas and year-end gives out its devices at almost half the rate. Also, you can exchange your old Kindle devices with newer models for the better reading experience. You can also contact Kindle care, all around the clock to get in touch with them. The new Kindle devices have an anti-glare feature, higher storage capacity and connectivity like WiFi and SIM support. Therefore, Kindle is a great device to have for anyone. Now that we have our list of Kindle features let’s see what the formats for Kindle are. Kindle supports the text file format which goes by name Mobi. Mobi was initially brought out to the market by MobiPocket systems as a player in the eBook market. It was a great competition to already present ePub, PDF, and Doc. What Mobi brought out as new, was additional features which were enhancing reading. However, not before long, Amazon came into the market and bought Mobi format from Mobipocket systems. Amazon then went to using Mobi files for their native eBooks on Kindle store. Thus, Mobi came to be the native extension for Kindle devices or apps. 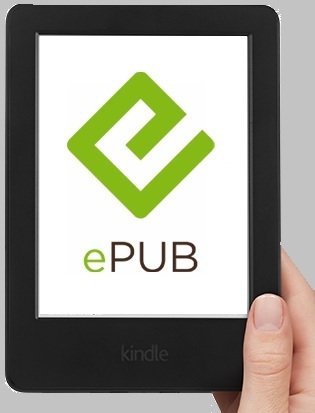 If you are a reader with many eBooks in ePub forms, you can easily convert it to Mobi. Further on, you can transfer Mobi files and view them on Kindle apps or devices. Does Kindle Support Only Mobi? Although, as per the discussion above, we can say that Mobi is a default file for Kindle apps or devices, there are others as well. Kindle supports Mobi for its ease of use with regards to authors who can easily convert their works to it. Now since Mobi files are getting up the Kindle store, it is only common sense that Amazon supports it. Thus, Kindle can quickly pick up your Mobi eBooks from within your computer, if you are using Kindle program. Also, your Kindle app can easily find any eBooks which you may have on your smartphones or tablets and build a library. However, do Kindle devices support only Mobi? There are some other formats which come out on Kindle as well. The official manual for Kindle says that you can read Mobi files on Amazon Kindle devices easily. However, the apps within smartphones, allow you to open and view PDF files as well. Though Amazon does not declare this support, Kindle apps are very much capable of reading PDF files. However, you cannot be sure of the quality and form of Kindle. Sometimes, the newer versions of Kindle may not allow for opening PDF. You can use ‘Create or Save as PDF/XPS document’ option to make the work suitable for Kindle. 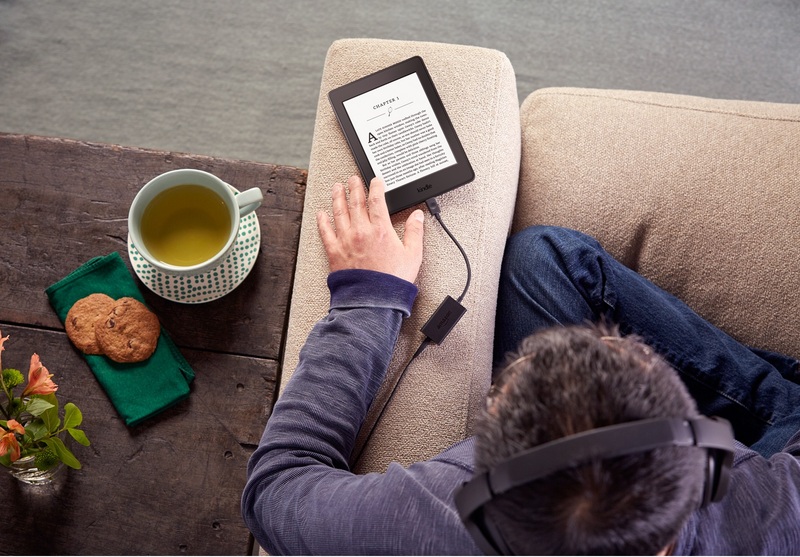 Once, you have the PDF’s that you want to read on Kindle devices; you can transfer them through USB connection. However, firstly you shall have to locate the Documents folder within the Kindle device upon connecting. Within the Kindle drive, locate storage and then Documents. This is where you send the PDF files to. After disconnecting, Kindle will scan and make the PDF’s available for reading. Over the years, Kindle has become an all supportive platform for various media. With its collaboration with Audible audiobooks company, Amazon has taken the next step in publishing. Now, Kindle stores and Audible stores allow you to buy and bring Audio devices to your Kindle devices. Given that you can bring Audiobooks into Kindle devices, Kindle thereby supports Mp3 files. With Audiobooks, you can listen to the whole book being narrated by a voice. However, the added advantage of having the Audible book is that at any moment you can pause the audio file. You can then get back to reading the book as a regular book from where you paused. This switch is possible if you have a device which supports both Audio and text formats. Amazon has brought the new version of Kindle, like Kindle Fire HD, which takes up Audible files easily. However, if you have eBooks which are in a different audio file, then you may have difficulty in playing them on Kindle. Earlier, before coming to Mobi as the native format, Amazon picked AZW for its devices. Kindle could use AZW file format for reading through books which the publishers compressed highly. AZW was the Mobi format which publishers were using for high compression option. The main advantage you have when using AZW is that the images including in Mobi can make it a bigger size. For loading such eBooks, you shall have to clear up some space on your device. It gets worse on smartphones, as Kindle eBooks start taking up SD space. This is where some publishers get to using AZW format. AZW allows for high level of compression of images and their scaling. Kindle picks up AZW and automatically shrinks the size of the eBook. If you are someone who is just looking for books and nothing else, it won’t matter. You can also see AZW as Kindle books in the store. If you are a publisher, you can use AZW both for DRM-locked books or others. The extension also appears as Mobi files. Can You Convert Normal Files Into AZW? You now know why some publishers use AZW files. If you are one such publisher who wants to compress your book, and still not loses out on Kindle readers, you can use AZW. You can get to AZW, by using Amazon servers. You just have to attach your files, via an email client, and send them to Amazon webmail. However, when you get the books back, you will see that your books are not protected but plain AZW files. If you wish to read them on devices like MobiPocket reader, you may have to rename them. Usually, the extensions like PRC or Mobi does the trick. However, in case your eBooks are loaded with DRM files, you may find it difficult to open it in Mobipocket reader. Also, the early versions of Kindle ( like Kindle 1 and Kindle 2 ) end up using AZW files which are protected by DRM. Till now, you saw how you could read different text formats on Kindle devices and apps. However, most users use Word Doc format to type out their works, and this is where everything starts. To convert it to Mobi, there are several things to follow. However, even after trying some converters and tools, you may lose out on text alignments, images, formatting of the doc in the output. This is a significant problem for publishers. Also, even if you do get a proper output, some versions of Kindle may not take the Doc, and some others may find the images faulty to load. The first step in doing this is finding out your Kindle email address. Yes, every Kindle device has a unique email address, which you can use to send eBooks through email. Once you send the email, within some moments, you can see those books appear on your bookshelf. To find out your email address, follow these steps. Login into your Kindle and go to ‘Personal Document Settings’ in the Settings menu. Here you will find your Kindle email address. However, before using it, you shall have to register the email address to ‘Approved Personal Document Email List.’ You can do this by entering your Kindle device ID, on the list. Add a newly approved email address’ and enter the email you want to send your documents from. Finally, when you decide on sending your non-compatible file, Doc, in this case, enter ‘CONVERT‘ in the subject line. This will tell Amazon to convert the book without losing any data and make it available on your bookshelf. This is perhaps the easiest way of sending your Doc files to your Kindle device. The steps are pretty simple. You just have to connect your Kindle device to your PC/Mac. In another window, select all your PDF files, Doc files or even AZW files and drag and drop them in the folder. The Kindle will scan the files and display them if they are compatible. However, in the case that you cannot find your books, docs, magazines on the bookshelf, it means that they aren’t compatible. Here is where you go with the safer more efficient above alternative of sending the document files to Amazon servers. Amazon provides you with multiple options for getting your works onto the Amazon servers and Kindle devices. 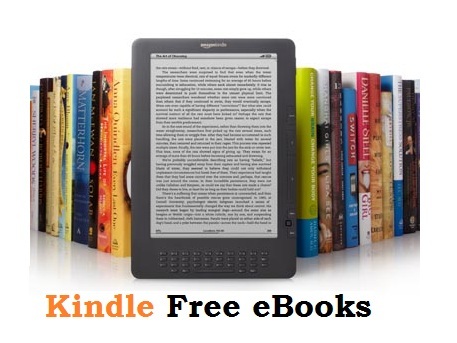 A free sharing tool is available for PC/Mac and Linux systems called Send To Kindle app. Within PC, you can install the Send To Kindle App from Windows Store, or Kindle store onto your system. Once the installation is complete, you can easily send the files to Kindle devices after signing in with your Amazon login details. Next, go to the folder where the files are present and right click on them. Of the options that come up, scroll down to Send To Kindle option, and click on it. Here, you can change the author titles or book details in metadata before submission. Also, you will be shown all the Kindle apps and devices which are on the same Amazon account. Be sure to select the particular device or app, where you want to send the Book to. This app is super easy to use when you compare it to the above two options. 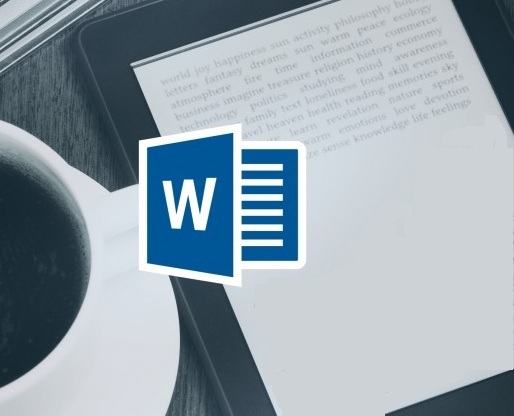 Also, when you are in MS-Word, once you finish the document, you can easily send it to Kindle easily. The option you use here is Print, where you find the ‘Send To Kindle’ option. Though ePub files have been on the market from long before Mobi; Amazon has always seen going for Mobi. Now, Amazon came about preferring Mobi over ePub files. Apart from other reasons, Amazon wanted to have its format going in. If you are an average reader of eBooks, Mobi or Epub hold the little difference in the way you read them. You just want to read a book. Kindle was quick to realize this and opened support for ePub files on its devices as well. However, while doing that, Kindle also came up with a plan to remain strong on it’s Mobi choice. Therefore, you can still get your ePub files onto the Kindle apps and devices, the devices, in turn, convert them into Mobi files. Also, Amazon help sections urge you to look for compatibility of ePub files as not all ePubs are allowed by Kindle. You can look for compatibility through Kindle tools, mainly, Kindle Previewer or KindleGen text plugin. These two tools convert ePub files into Mobi in three to four simple steps. Thus, allowing you to open them in Kindle devices and apps. Before even ePub or Mobi came into the light, the options that we had revolved around Doc, Word, or Text file formats. Users went into creating most of these documents in Text files. You can still use them in HTML coding which allows you to control all the aspects of text files at the coding level. You can use TXT or RTF files in almost all the systems and across all the platforms. Because they are simple and easy to use, many publishers and authors use them. You can create a ten thousand words file in a fraction of file size. Thus, you save space as well. You can also read TXT or RTF files in Kindle devices basing on Kindle’s support. You can use the above features like sending through Email, or sending through App, to get TXT files onto Kindles. However, you can quickly put TXT or RTF files into Kindle devices by dragging and dropping the files into Kindle My Documents folder as well. Usually, the TXT or RTF files are both entirely text files; the conversion is quick and easy. And you can see these files in Kindle bookshelf within minutes. Although Kindle devices come across as close-ended devices not allowing for anything apart from Mobi, it isn’t the case. As per the above discussion, we can see that Kindle allows almost all the major media files on its devices. The official homepage of Kindle shows that it extends support for Mobi, Epub, Rich Text Format (RTF), Plain Text Format (TXT), Adobe PDF, Microsoft Word Document and Kindle Package Format. As a simple user, you may find that conversion of your books or documents into Kindle-compatible files can be a lengthy process. Also, there are chances that you may lose out on quality, images, media and other inclusions while converting. This is where it is a great option to approach a professional eBook conversion services entity, which ensures you that you never lose out on anything.